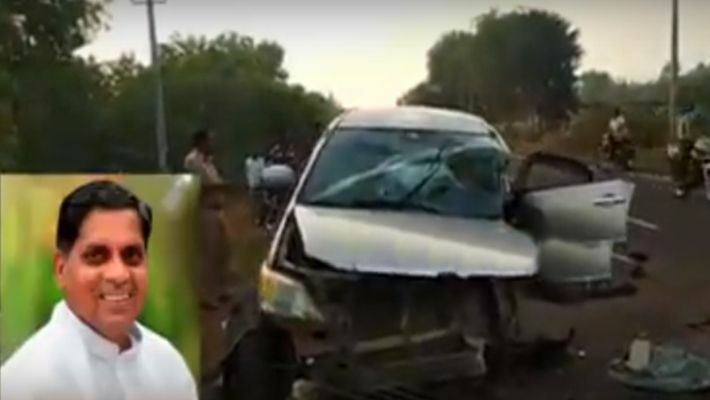 Jamakhandi MLA Siddu Nyamagouda, who won the election in recently held Karnataka Assembly elections, died in a fatal accident in Bagalkot early this morning. Here are the details of the funeral to be held tomorrow (May 29). Jamakhandi MLA Siddu Nyamagouda, who won the election in recently held Karnataka Assembly elections, died in a fatal accident in Bagalkot early this morning. 70-year-old MLA Nyamagouda was travelling to his constituency Jamakhandi from Goa in a car. The driver of his car tried to avoid colliding with a lorry but hit a roadside parapet wall. Nyamagouda was also a former union minister and had been to New Delhi to hold talks about sharing of the portfolios and had returned to Goa by flight and was on his way to Jamkhandi in his car when the accident occurred. He died after he suffered severe injuries. Nyamagouda had suffered severe injuries and died instantly, he said. He has left behind wife, two sons and three daughters. Karnataka Chief Minister HD Kumaraswamy has expressed shock and condolences on the death of MLA Nyamagouda. Nyamagouda was also instrumental in providing water to 26,000 acres of land in Chikkapadasalagi and surrounding areas and also had provided drinking water to three lakh people of Jamakhandi. The funeral of the MLA will be held at Jamakhandi tomorrow morning in the premises of Jamakhandi Sugar Industry. Prior to this the body will be taken in a procession to the Taluk Stadium in Jamakhandi, where people can get the last look of their leader. All arrangements have been made by Taluk Administration under the directions of District Police Commissioner Vamshikrishna.